Whales. Maybe they’re just a group of animals you remember from a nature documentary. Maybe you’ve been lucky enough to see them in person. Or maybe, if you want to be technical, you’ll know them as a paraphyletic group of organisms within the Cetaceans, excluding the Dolphins. As someone who loves whales, and satisfies the 3 above statements, I’m fascinated by their return to the sea, something that has required a series of adaptations in order to make this happen. Whether it’s their changes in their shape, bones or even genes, I hope you’ll appreciate why going back for a dip was somewhat more complicated than putting on a swimming costume. Whales arose from the even-toed ungulates, or artiodactyls, which is a group containing everything from pigs to giraffes. The closest living relative of Cetaceans is, in fact, the hippopotamus, having diverged from them some 54 million years ago. Travelling back through the fossil record, you’ll find Pakicetus, one of their earliest known ancestors, which inhabited the floodplains of the Tethys Sea, in what, as you may have guessed, would later become Pakistan. The size of a small dog, it foraged for food in shallow waters and streams, already close to, but not in, the seas it used to, and would once again, call home. As the aquatic part of its life became more important, it developed into Ambulocetus, which had shorter legs, a pronounced jaw and tail, and webbed feet. This allowed it to better catch aquatic prey in short bursts of speed, like modern day crocodilians (Crocodiles and Alligators). Over the next 10 million years, it became increasingly adapted for its adopted ocean habitat, becoming Dorudon. Now with a much more streamlined body, aided by the almost total loss of the hindlimbs in favour of a large tail fluke, it was now a much more efficient swimmer, though also more unstable, at least until the forelimbs grew larger to provide balance. As Llanocetuscontinued to diversify, giving rise to the species we see today, different whales ended up with their own unique features, the epitome of which is spermaceti in the Sperm Whale. While its primary function seems to be for echolocation, it has been suggested that it aids the control of buoyancy, though its exact mechanisms are unknown. To sink, blood is diverted away from the spermaceti organ to cool it, causing it to harden and solidify, and vice versa. This changes the lift of the whale by a massive 91.5kg! The closest living relative of Cetaceans is, in fact, the hippopotamus. Aside from its shape, the whale’s skeleton is also a marvel of adaptation. There is a high proportion of cancellous, or spongy, bone in whale skeletons, which is often porous to allow the storage of oil. Like blubber, it aids in buoyancy by being less dense than water, so much so that despite a fully grown Blue Whale weighing over 100 tonnes, it can easily float. A further benefit of cancellous bone is that it is more flexible, allowing for lung collapse to occur. Far from being the life-threatening condition it is in us, it is a positive trait for whales, trapping any remaining gases inside. This prevents inert gases like nitrogen entering the blood, causing the bends. On the way back up, specialised surfactants in the lungs ensure that they reinflate properly, releasing any trapped oxygen gradually to allow a longer, more gradual adjustment between depths. Speaking of lungs, whales have 2 air cell layers, and therefore 2 capillary networks, in their alveoli, the structures that transfer gases into the blood. As well as being more efficient, this makes them thicker, and better able to withstand the pressure changes of diving, along with valves. Once the oxygen is in the blood, it is conserved by shunting blood away from non-vital tissues like the digestive system, while also constricting blood vessels in order to maintain the pressure required by essential organs. 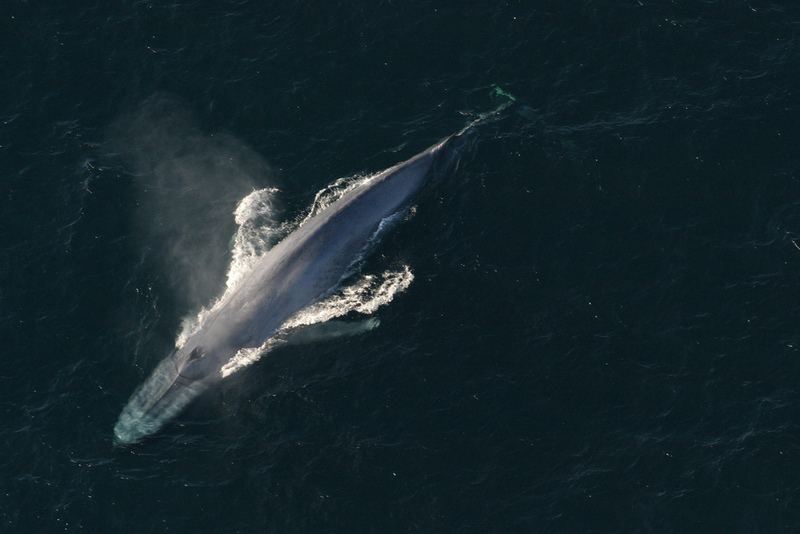 Oxygen transport is aided by whales having a much higher proportion of red blood cells per unit of blood, 68%, compared to an average of 42% in humans. It also has up to 30 times as much myoglobin, another oxygen carrier, which is positively charged to prevent it sticking together, and also has roles in preventing cell damage. At a genetic level, the whale has lost many genes associated with now redundant characteristics, like body hair and taste receptors. It does, however, now express more genes for lactate dehydrogenase, allowing for more anaerobic respiration, while specific mutations in 7 glutathione metabolism genes, produce an antioxidant to reduce cell damage further. They also have specific cellular modifications that allow their cells to keep functioning even under the extreme stresses of the deep sea. Thus concludes a brief whistle-stop tour of what makes the whales the monarchs of the sea, from the visible to the hidden secrets within their cells. While they may have started on land, their spongy bones, lack of legs and collapsible lungs make it unlikely they’ll be dragging their substantial bulk out of the sea anytime soon.